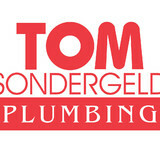 Tom Sondergeld Plumbing provides cleaning, repair, & replacement for drains, sewers, water lines, water heaters, & more as well as plumbing maintenance services. Serving Louisville, KY & surrounding areas. 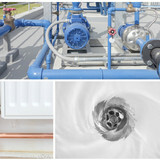 We are a complete plumbing company. We do service and repair, residential, and commercial plumbing. 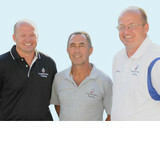 We are an honest, reliable, locally owned plumbing company . Mason Shirley has been in business over 40 years. Thompson Bros. is a small family business in Louisville, KY established in 2004. Our partners have more than 50 years experience working in the plumbing & mechanical field. We have 20 skilled employees, 10 of whom are licensed plumbers providing knowledgeable, professional, and high quality plumbing service to our customers. In addition, we have a Master’s Plumbing License required to pull all state permits. 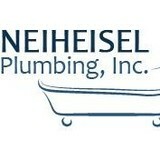 Over 38 years in the trade we do COMMERCIAL and residential new and service for plumbing and HVAC. Since 1984, United Plumbing Company has been proudly serving Louisville and the surrounding areas with high-quality plumbing services. From clogged drains to leaky pipes and other plumbing repairs, the company’s plumbing experts are trained and equipped to handle them all. As a family-owned company, United Plumbing Company treats every customer like family and every home like their own. Services are also charged by the job, not the hour. Additionally, the diagnostic fee is waived when you choose the company to complete the service. Call now to schedule an appointment or for emergency plumbing anywhere in the Greater Louisville area. United Plumbing Company is on-call 24 hours a day, 7 days a week. We are a family-owned and -operated business that has provided professional quality plumbing and HVAC services to the residential and commercial communities of Metro Louisville and surrounding areas since 1913. Above all, we value our customer relationships and will do our best to provide you with the highest quality of service. 24 hours a day, 7 days a week...Greenwell Plumbing is "Simply Dependable." Greenwell Plumbing is proud to be accredited by the Better Business Bureau with an A+ rating. Water heaters, sewers lines, ect. are all replaced/repaired to code complete with permitting and inspections as required by the state of Kentucky. Let Charlie Sondergeld Services be your first choice for all of your plumbing needs! Our goal at East End Plumbing Supply is to provide the best products with the greatest services to our customers possible. At the same time we will focus on the health and overall happiness of the employees of our business. We have been a member of the business community here in Louisville for over 35 years, and remain locally owned and operated. We are dedicated to provide the best, high quality, products at a fair price. At the same time we pride ourselves on the “old-fashioned” smile and hand-shake service. We have two great locations with employees that are eager to help. Our teams at both locations are experienced and are able to provide you with the products and friendly advice you will need to get the job done. We have a full line of residential and commercial products; we can handle new construction, remodeling, or just a quick easy repair. We have showrooms at both our locations and are ready to help you, does not matter if you are a plumbing contractor, electrician, dentist, or homemaker here at East End you will be treated with the respect you deserve. East End Plumbing Supply is your neighborhood plumbing store; we look forward to seeing you soon! Residential and commercial plumbing installations and repairs. A plumbing contractor handles the installation and repair of water, sewage and natural gas pipes throughout a home, as well as interior and exterior faucets and fixtures. Plumbing contractors are also trained to work with water mains, septic tanks, laundry appliances, water heaters, sump pumps and other plumbing and pipe systems. Because plumbing repair work is done largely behind walls and beneath floors, some plumbing companies can also patch or replace tile, stonework and other surfaces. Although some Crestwood plumbers are generalists, others specialize in specific areas; a 24 hour emergency plumber will handle urgent residential repairs, while others may be more skilled in remodeling, natural gas lines, overhead sprinkler systems and more. Find a local Crestwood plumber on Houzz. Narrow your search in the Professionals section of the website to plumbing contractors in Crestwood, KY. You may also look through photos of Crestwood, KY projects to find a licensed plumber who has worked on a project similar to yours. Here are some related professionals and vendors to complement the work of plumbers: General Contractors, Septic Tanks & Systems, Kitchen & Bath Designers, Kitchen & Bath Remodelers.